The project “Noord-Zuid Lijn” in Amsterdam officially started in April 2003. However, the discussion had already started in the 70’s. 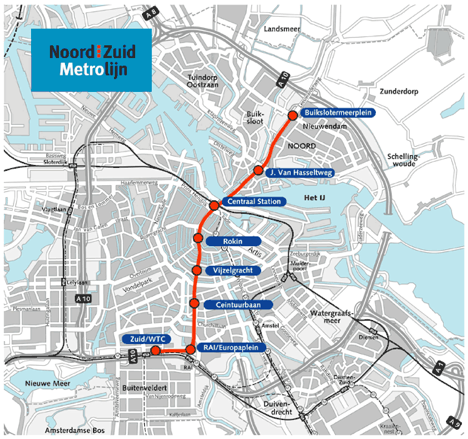 This project is a new metro line, which connects Amsterdam Noord, through the IJ and the city centre, with the south of Netherlands capital. The opening of the new public transport project was already planned for 2012. But due to reckless mistakes during the building process – for example collapsed buildings at Vijzelgracht because of incorrect risk analysis – the new M52 line will be put into service on the 22nd July 2018. A metro which will change and shape Amsterdam in many aspects. “The north-south line will have an enormous effect on the city, the people and the city’s image. One of the main reasons why we decided to build a new metro, is to relieve the central part of the city”, says Michiel Jonker, spokesperson of “Metro & Tram Amsterdam”. With the commissioning of the new metro, the frequented city centre around Dam square should not be so crowded anymore in the future. Especially locals, who live in the centre, will benefit from the relief in the heart of the city. 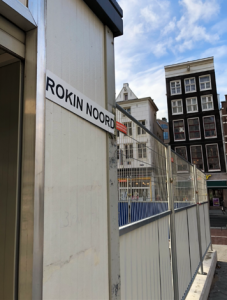 Because by connecting Amsterdam Centraal through Rokin with Vijzelgracht, the metro will provide the opportunity to cross the centre underground within a few minutes. This will also have an effect on the rest of Amsterdam’s public transport. Trams and buses will run less frequented through the centre and some of them will even be ceased. Additionally, the new metro line will be an attempt to make the city centre an almost car-free area and to be environmentally conscious. “The new metro should also reduce the pollution in the future“, declares Michiel Jonker. As beneficial at it seems to be for the city, there is always the other side of the coin as well. The Dutch capital had to dig deep into its pocket over the last years to realise the “Noord-Zuid Lijn” project. The entire construction process was expected to cost around 1.4 billion Euros. Up until today, already 3.1 billion Euros were invested into the project since 2003. A non-expected financial burden for the city and also the locals, because the remaining 1.7 billion Euros were paid by tax payers. But that is not the only issue which bothers the people about the new metro line in Amsterdam. Due to the construction of the almost ten-kilometre-long underground, the standard of living will increase in the city, as mentioned before. This seems positive, but it has its downsides. When it comes to rental charges, Amsterdam is the fourth most expensive city on an international comparison, after London, Paris and Rome. Within the improvement of the quality of life in the city, the rents will also increase in the near future. 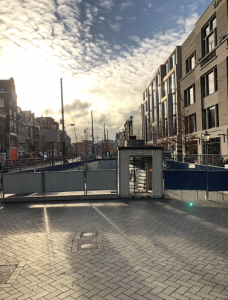 It is not clear yet to what extent they will rise, but in regions like the Vijzelgracht – where a metro station will be located – rents could rise immeasurably. But not just in the city centre, also Amsterdam Noord, the “visionary project”, will change a lot in the future. Due to the construction of two metro stations in the northern part of Amsterdam, the area will become more attractive not just for locals to live there, but also for companies which want to invest in building projects. “The whole infrastructure of the city, also in the north, will progress. There are already many investors who show interest in projects in the north”, says Michiel Jonker. Because of that, he also expects that the population of Amsterdam will grow constantly fast in the coming years. Formation of ghettos in the suburbs? Right now these are all just visions. How it will really be in ten, in fifteen and in twenty years is difficult to say right now. Even for experts. But what is indisputable is that the new metro line will definitely have an effect on the city. Due to the increase of rents, the relief from mass tourism in the city and a general gentrification, the gap between poor and rich can grow even more. If the rents in the city centre will increase as much as expected, it can happen that the suburb (or the north) of Amsterdam, where the rents are affordable, will show tendencies of ghetto formation. Comparable to the Banlieues in Paris. On the 22nd of July 2018 the first train of the “Noord-Zuid Lijn” will cross Amsterdam’s centre. The project, which was so expensive. The project, which lasts so long. The project, which should increase the standard of living. The project M52 will be put into service soon. A project that will change Amsterdam.